Computer Cable Store™ Standard Single Gang Faceplates come in either Ivory or White and consist of anywhere from one to six ports. 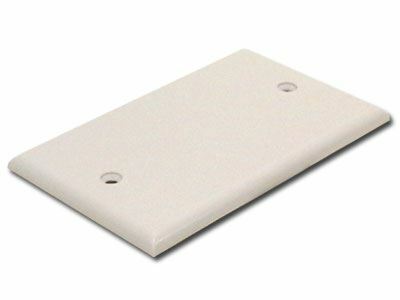 We also carry blank Faceplates for covering up those unused and unsightly cable entry points. These Faceplates are great to use with our variety of Audio / Video, Cat5e and Cat6 Network Keystone Jacks, as well as our RJ11/12 Telephone Keystone Jacks.